How Sweet is It? - Illinois Sparkling Co.
Brut, Sec, Demi-Sec – what do these strange-sounding words mean? These are some of the terms used to describe the sweetness level in sparkling wines and Champagnes. Unlike other wines, you won’t hear terms like dry, semi-dry, semi-sweet, or sweet when you are checking out the label of your favorite bottle of bubbly. The sweetness of sparkling wines is determined when sparkling wine makers add the dosage. Once we finish disgorging, the bottle of bubbly is free of yeast and ready for the finishing touches. However, in the process of removing the frozen yeast during disgorging, some of the sparkling wine shoots out of the bottle. This is actually rather fortunate as it allows the winemaker to put his final stamp on the wines. He will carefully create a liquor made of still wines and sugar to add in order to complete the flavor profile by “topping off” each bottle. This is the dosage; the amount of sugar used for the dosage varies and will dictate the sweetness of the wine. Our winemaking team does quite a bit of taste testing before they decide on the final dosage. 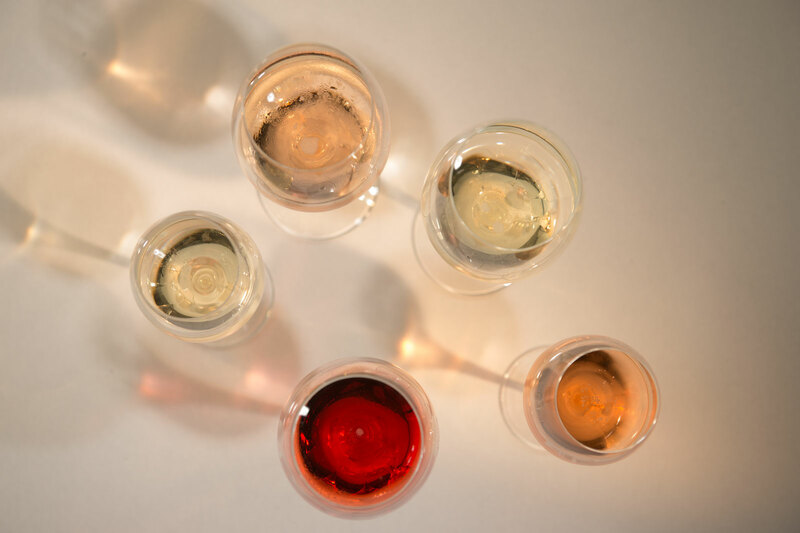 While they might have a general idea as to how dry they would like the final bubbly to taste, there is a careful balancing act going on at the same time as they look for the right formula to balance the acidity and bring out all the amazing flavors. 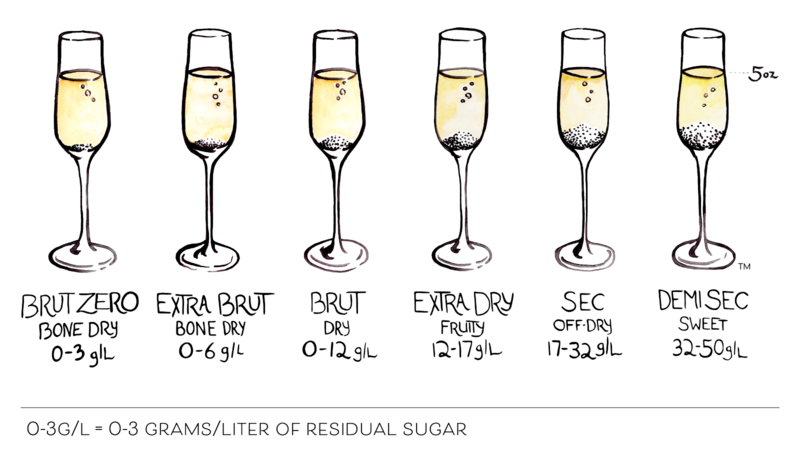 Here are the various levels of sweetness used to described sparkling wines and Champagnes, from driest to sweetest. “Brut” is a french word that means uncut, rough or raw referring to the natural or raw state in which a champagne or sparkling wine is bottled. Brut wines are the driest sparkling wines. Our Brut wines are Brut, Brut Ombré Rosé, and Brut Rosé de Saignée, Within this broad Brut category, there are some additional sub-categories often used to further depict the dryness of these sparkling wines. Extra Brut is used to describe sparkling wines that have less than 6 g/L of residual sugar. Extra Dry sparkling wines are a hint sweeter than Brut sparkling wines. While the French term sec means “dry”, these sparkling wines aren’t the same as a dry still wine. You’ll notice the sweetness in these sparklers, but it won’t be a sugary sweetness, it will be similar to what you might find in a semi-dry still wine. The ISC sparkling wine made in this style is Sec. Demi Sec is a French wine term meaning “half-dry”. Demi-sec sparkling wines are typically slightly to medium sweet. The ISC sparkling wine in this category is Demi Sec Rosé. These are the sweetest of the sparklers. Interestingly, this style used to be the most popular sweetness level in Champagne during the 18th and 19th century. We currently do not have any ISC sparkling wines made in this style.